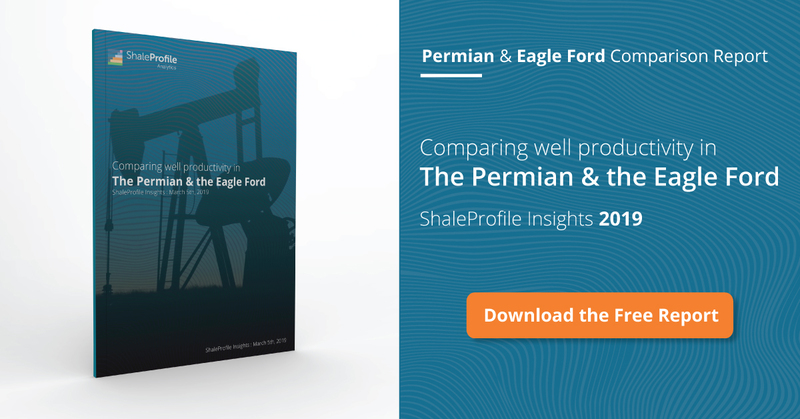 The above interactive presentation shows the shale oil production in the Permian. It now contains counties from both Texas and New Mexico. You can browse through the presentation by clicking on the boxes above. For more information you can use the filters and tooltips. Oil production in the Permian has held up well until November 2015. Some operators, notably Pioneer Resources, have increased production quite a bit during 2015. I found it interesting to see that the average well quality in New Mexico has been improving more sharply over the last years than in the Permian in Texas. You can see this in the "Well quality" tab, by selecting the NM counties "Eddy" and "Lea", and then grouping by "Year of first flow". Almost all oil production in New Mexico is located in the southeast of the state, in the Permian basin. This explains why the oil production shown in this presentation increased with more than 300 kbo/d (about 75% of the total oil production in New Mexico), compared with my update last month. The presentation contains data until November 2015, as this data appeared quite complete. I have not yet been able to estimate individual well profiles for all leases in Texas, otherwise I would have been able to show how the total production declines over time, as I've done for the other basins. This is still my goal. Still, the well profiles responsible for about 75% of the production shown here can be viewed in the "Well quality" tab. These are all horizontal wells. I used data from the RRC, and the OCD of New Mexico. I aim to post an update next week Friday on the combined oil production total of the 4 shale oil basins on which I've gathered data. This way, we can more easily see how the different basins compare with total oil production, operators, well quality, and field declines. 1. Can you comment on the NM data source? Quality, ease of use, issues, comparison to NDIC, etc.? 2. English nit: “in the South East of the county” should be “in the southeast of the state”. But compared with the RRC, it is heavenly bliss. This is absolutely fantastic! Thank you for doing this. Great to hear, thanks John. Another interesting post. Am I missing something or is it not possible to view by year for the Permian? I only get operator, county and formation for grouping. On another point for me on Safari the links for recent posts and comments either don’t work at all or only occasionally, I tried to check if it had something to do with position on the screen or time to download but couldn’t find any consistent reason. Actually on the links I think the issue might be that only the right hand half of the link is an active hotspot, on the left it is dead. > Am I missing something or is it not possible to view by year for the Permian? I only get operator, county and formation for grouping. That is indeed not possible yet. In order to be able to present this, like I did for the other basins, I have to have all the oil production on well level, whereas the RRC provides the oil production on lease level. I have been able to estimate about 2/3 of the Permian production in Texas on well level, but for 1/3 due to technical issues not yet. Next week, when I aim to do a post on all the 4 basins together, I will be able to show this, but I will only use the 2/3rd of the Permian production in Texas. I may have found a solution for this problem, which I am going to test in the coming time. I like that overview myself as well. Thanks for the link, I wasn’t familiar with his work before. Indeed the links on the right side of the screen are only partial clickable. There is a certain issue with the design of the interface. I have partially solved this just now, so it should be a little better than before, but still I notice that the very left side of a link doesn’t appear to be clickable yet. I’ll try to solve this in the future. The improvement in Pioneer wells over time is stunning. Any idea on why? Is that vertical to hz change? Increasing lateral length? Shift to better acreage? Completion technology improvement?